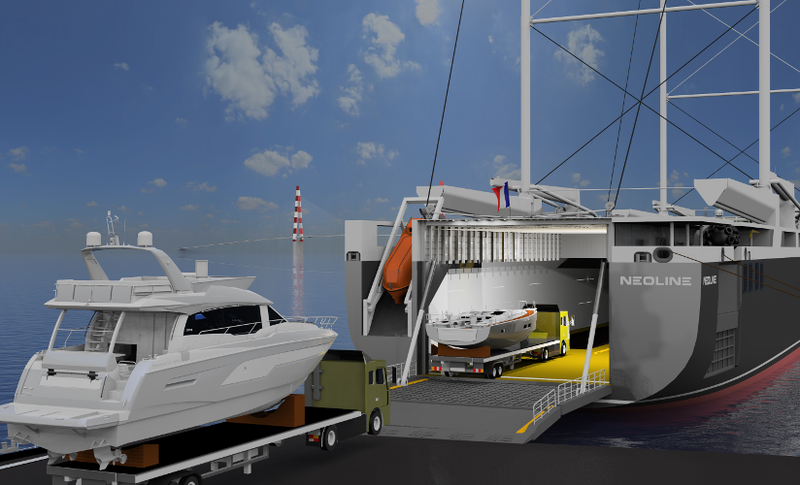 Paris, March 26, 2019 – Celebrating the 2019 Transport and Logistics Innovation Week (SITL) and one day before the Maritime Day, Groupe Beneteau has confirmed its interest in the NEOLINE project for the transatlantic transportation of its boats. As the boating industry’s global market leader, Groupe Beneteau, through its Boat division’s 12 brands, offers over 200 recreational boat models serving its customers’ diverse navigational needs and uses, from sailing to motorboating, monohulls and catamarans. Leading the European leisure homes market, the three brands from the Group’s Housing division offer a comprehensive range of leisure homes, lodges and pods that combine eco-design with high standards of quality, comfort and practicality.